Since Doctor Who won’t be back until later this fall, I’ve been looking for a show to watch in the meantime. My husband and I recently started watching Sherlock. I had no idea Arthur Dent Martin Freeman was in it. We’ve only watched a couple of episodes but I’m thoroughly enjoying it. I can feel another television series obsession coming on. At least you guys might get a break from me constantly talking about Doctor Who. But probably not since I just listened to half of Chris Hardwick’s interview with David Tennant. Once I listen to the rest of the interview, I’ll probably most definitely write a post about it. Sherlock. I love that it’s set in modern-day London. It makes me want to go back even more. I also love the text and symbols that show up when Sherlock is practicing the science of deduction. Since Steven Moffat is one of the head honchos for both Doctor Who and Sherlock, my hubby and I thought it might be neat for the two shows to somehow cross each other. I think if Sherlock ever came across The Doctor, they might argue A LOT. Mostly because they both think of themselves as highly clever. Still, it might make for an interesting episode or two. On a totally different note, have you heard that Community is NOT cancelled?! It’s such a brilliant show. So, have you seen Sherlock? What do you think? In a medium bowl, combine cookie crumbs, sugar, and butter. 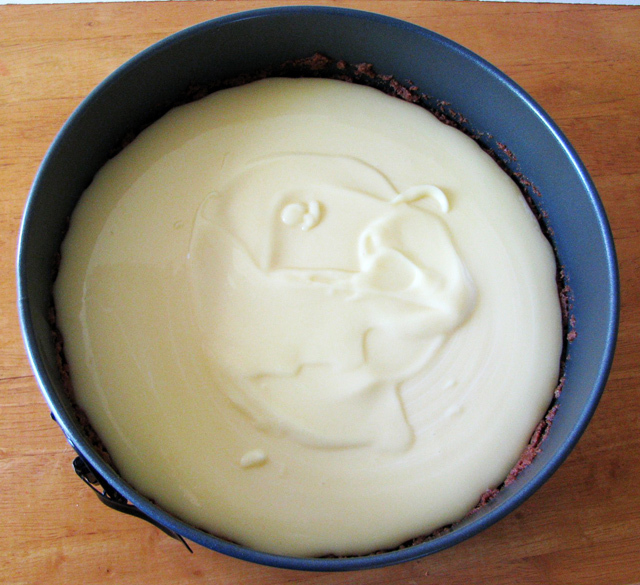 Press crumb mixture onto the bottom and a little up the sides of a 9-inch spring form pan. Bake for 8-10 minutes. Cool completely on wire rack. 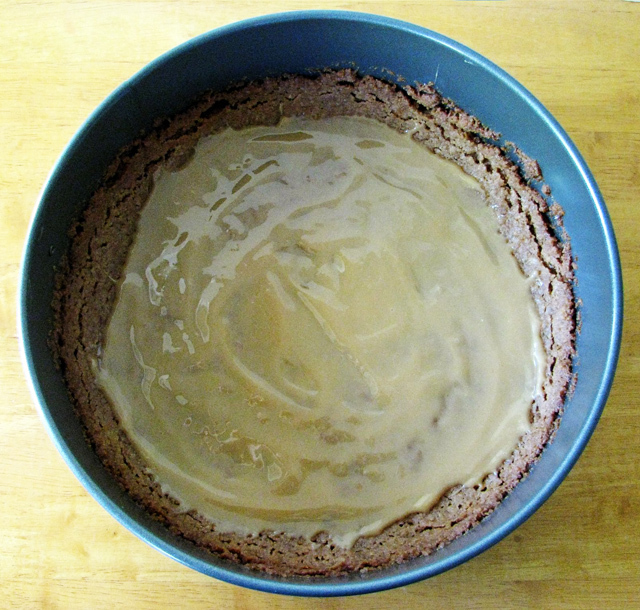 Spread a thin layer of Dulce de Leche on the crust. Set aside. In a medium bowl, add banana cream pudding mix and milk. Whisk for about 2 minutes. Pour pudding mixture over Dulce de Leche. Put in refrigerator. 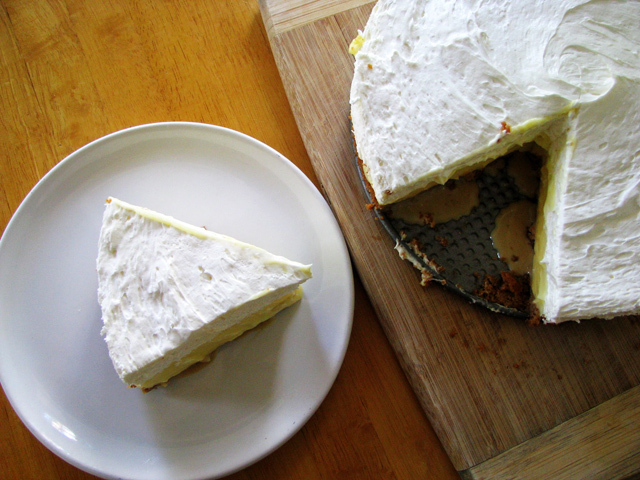 In a large bowl add cream cheese, sugar, and almond extract. Beat with hand mixer until smooth. Gently fold in whipped topping. 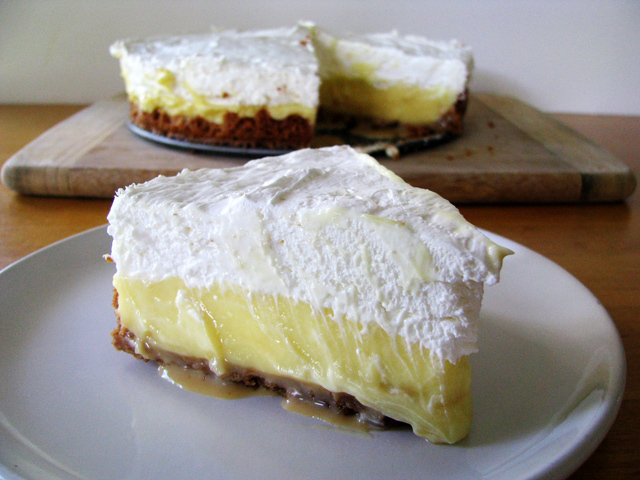 Remove pie from refrigerator and carefully spoon mixture over pudding. Refrigerate for at least 4 hours or until set. 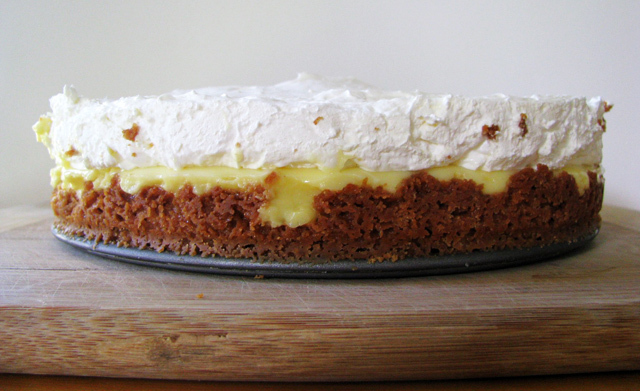 This entry was posted in Baking, Food and Drink, Geekin' Out, Shiny Stuff and tagged banana pudding pie, Chris Hardwick, Community, David Tennant, Doctor Who, London, Martin Freeman, recipe, Sherlock, Steven Moffat. Bookmark the permalink. 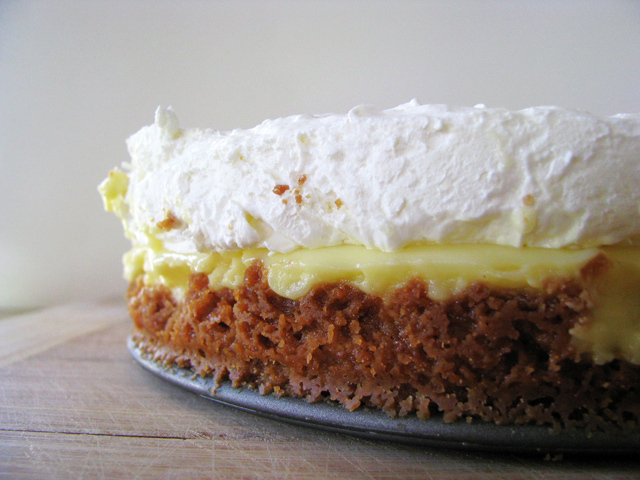 LOVE the idea of turning this classic dessert into a pie!! Thanks so much for sharing this wonderful idea. Not only do you have GREAT taste in tv shows. I am an addict for all three shows you mentioned!! Also, your pie looks delicious and I can’t wait to make it. Thanks.